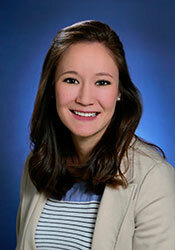 Jessie Laack has recently joined the Carson Medical Group’s professional team of nurse practitioners. Originally from Colorado, Jessie is new to Northern Nevada and is looking forward to settling near her husband’s family as they welcome their first baby in the coming months. “Life is all about balance,” Jessie explains as she juggles having a career, family, and maintaining an active lifestyle. When she’s not in clinic, Jessie loves to trail run with her dog, mountain bike, hike, and jump into alpine lakes. Jessie is passionate about preventative medicine and helping her patients manage their chronic diseases to maintain the best quality of life. She hopes to instill the importance of “balance” in her patients’ lives to promote health and prevent illness.